You are welcome. It was such a powerful story that I simply had to share it. I was in tears. Fear keeps many people in abusive relationships. I grew up in domestic abuse. Neighbors and even family fear getting involved. It takes real courage to stand up to the abuser, and there is certainly nothing wrong with fleeing. “Have a safe plan to leave” the abuser is excellent advice, Audrey. There are many groups and programs today to help those in a bad situation. I am sorry you had to live through this “hell.” I am so thankful for the increased awareness about domestic violence and all of those wonderful, dedicated individuals and organizations who help victims, survivors and those who love them. Such and empowering testimony, thanks for sharing this Audrey….If it only women reads this and “becomes free” from her abuser, then it’s all worth it. Thank you for sharing this story! When I read this and listened to the video clip, I knew I had to share it. We can make a difference, one story, one person, at a time. 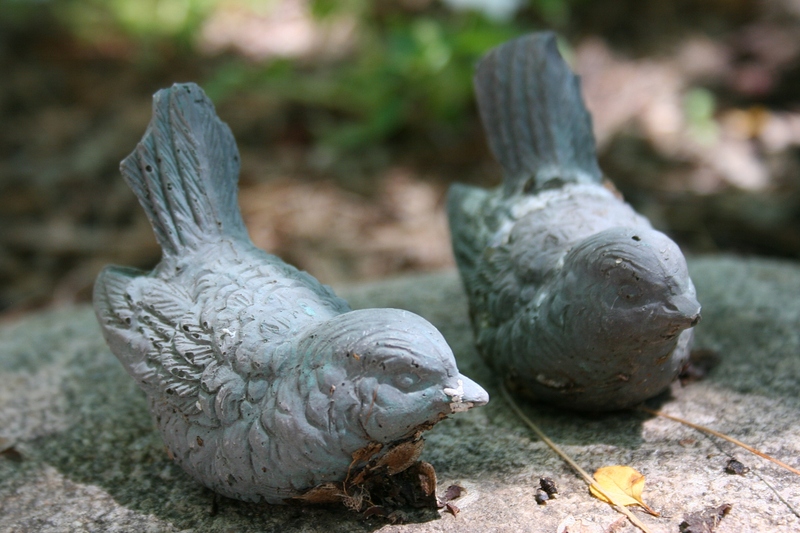 I must say that this may be one of your most powerful, empowering, thoughtful posts on the topic, It was a sparse post picturing two bird figurines and a link that really caught my attention. You did not have to sermonize as it said it all. The Fargo article was well written and a heartwrenching message to reach out to other abuse victims. The anchor is in a good position to reach out to others on the subject.. Thanks for sharing with your readers. .
You are welcome, Sue. I agree that the television news anchor is in a position to make a major impact on the subject. Wonderful way to visualize the freedom that one can experience outside of the confines of abuse. Thank you for sharing. I think this can really make a difference to many caught in abusive relationships. Thanks for sharing. I agree with your assessment that this particular story can make a difference.